EA starts its engines to race against The Fast and The Furious. In another attempt to bring a famous videogame franchise to life on the silver screen, Electronic Arts has hired George and John Gatins (of Real Steel and Coach Carter fame) to write a screenplay based on its popular racing franchise, Need for Speed. Reportedly, several major Hollywood studios, including Warner Bros. and Paramount, are interested in picking up Need for Speed's film rights, possibly in a bid to compete with Universal's current The Fast and the Furious series. The latest The Fast and The Furious film, Fast Five has earned over $626 million dollars world wide, and a sixth film is in production. The success of the The Fast and Furious series suggests that the Need for Speed series may experience similar success if translated into a feature film. Presumably, a Need for Speed film will be about people driving fancy cars at dangerously high speeds, but given the film industry's penchant to change things up, it's anyone's guess. The Need for Speed franchise originally launched in 1994, and currently has 18 titles in the series. 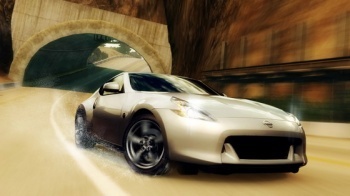 The latest title, Need for Speed: The Run, released last year in November to mixed reviews, and put players into the driving gloves of a man named Jackson Rourke as he attempted to drive cross country in an illegal street race.